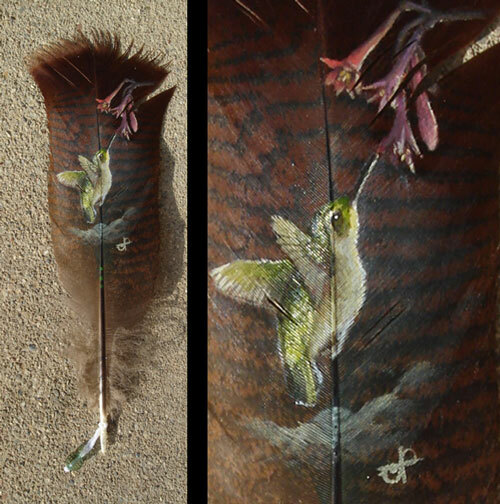 Some of our creative Artists just got bored to paint on the regular canvas and went back to traditional/special material – feather. 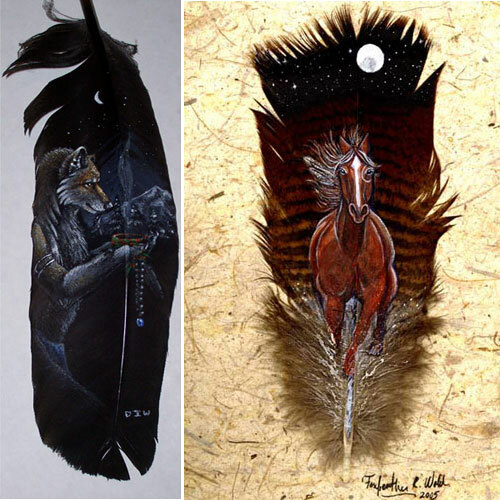 Feather work was carried out by highly skilled artisans and fantastic headdresses, ceremonial shields, bracelets, exotic fans, ceremonial staffs and numerous other items were created. 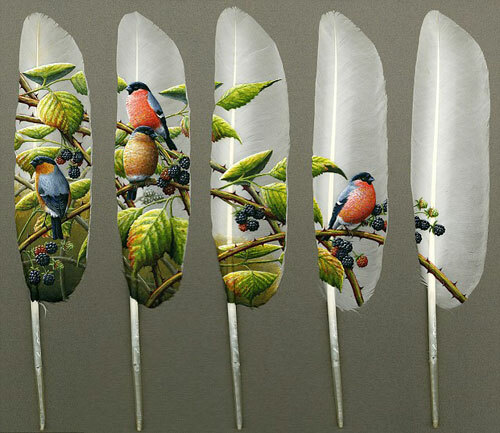 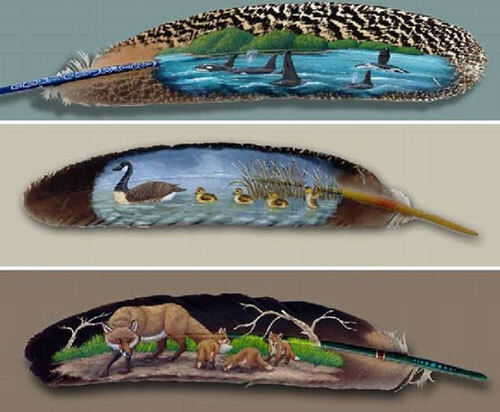 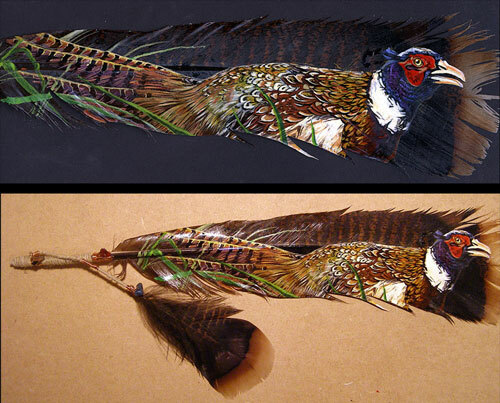 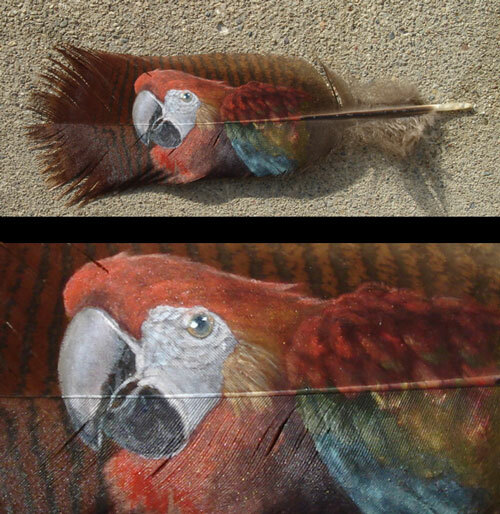 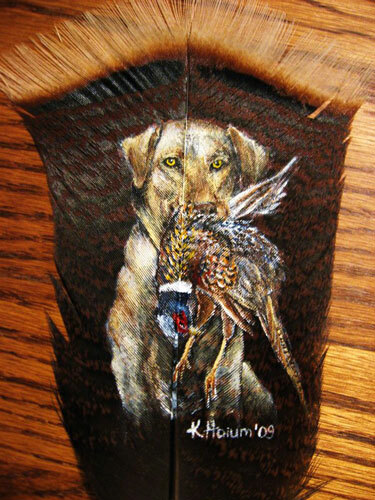 There are lots of feathers can be used for painting, such as chicken, ducks, geese, pigeons, golden pheasants, peacocks, turkey. 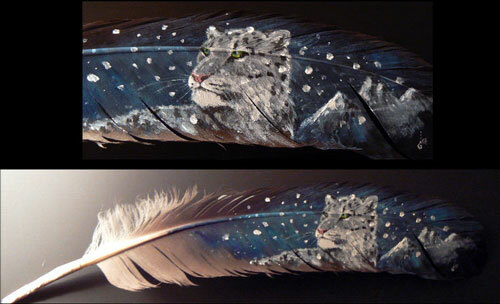 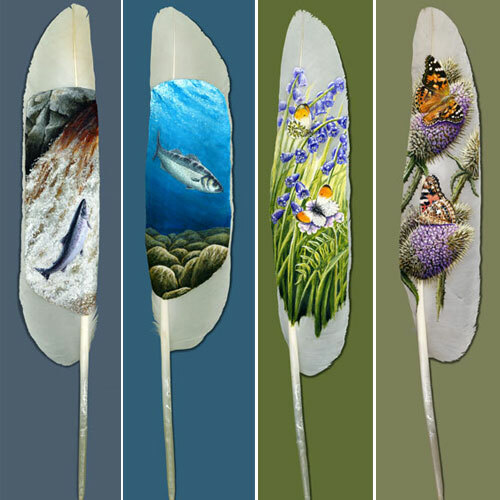 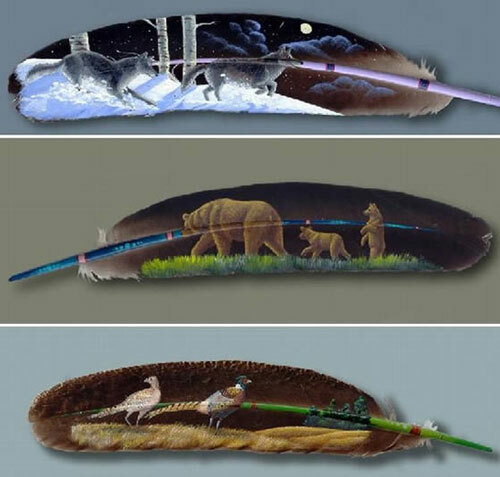 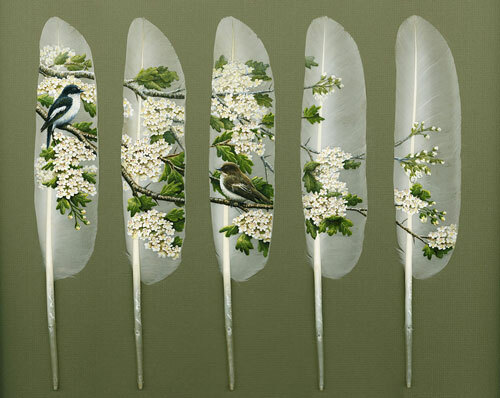 Due to difference of feather’s color, texture, size, the painting will present various visual effect.